Chickens are usually carriers of protozoa. They aren’t affected by them, though. Turkeys, on the other hand, can develop a serious liver disease called blackhead disease when exposed to protozoa. A turkey’s head can take on a bright bluish tint when it has this disease. 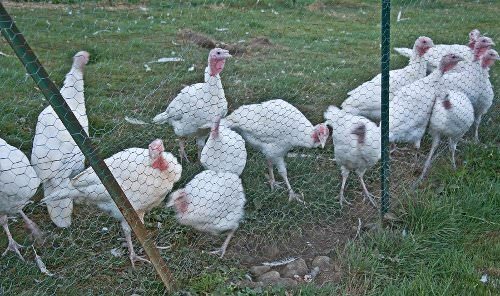 The best way to keep a turkey free of protozoa caused diseases is to keep it away from other poultry. If you are raising chickens, they should be in a separate enclosure that’s built several feet away from your turkeys.